A modern, luxurious hotel on on Mahe island, offering relaxation and stunning ocean views. 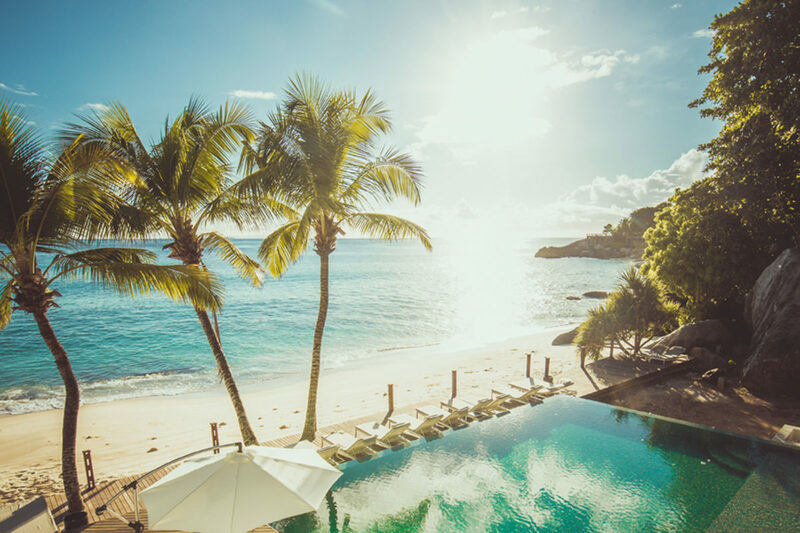 Carana Beach is a modern, luxurious beach side hotel situated on Mahe – the largest island in the Seychelles. 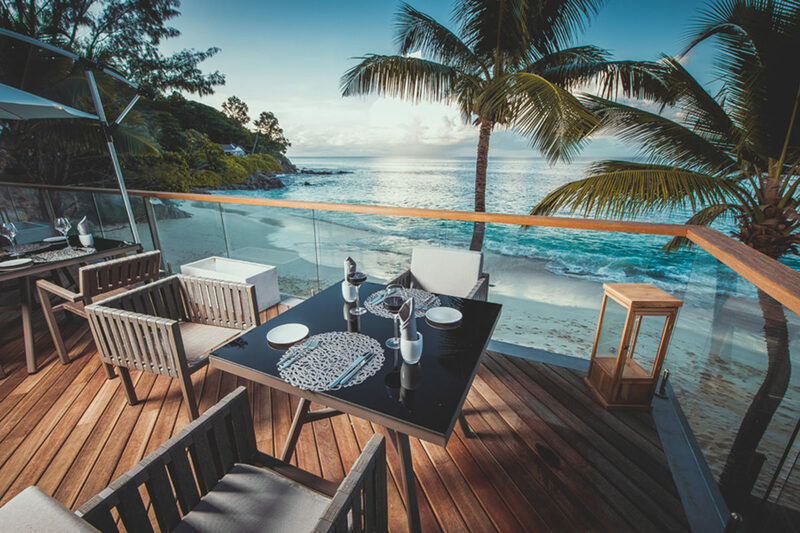 Owned by local company Mason’s Travel, the hotel has an authentically Seychellois feel, and has been designed to complement the stunning scenery which surrounds it. 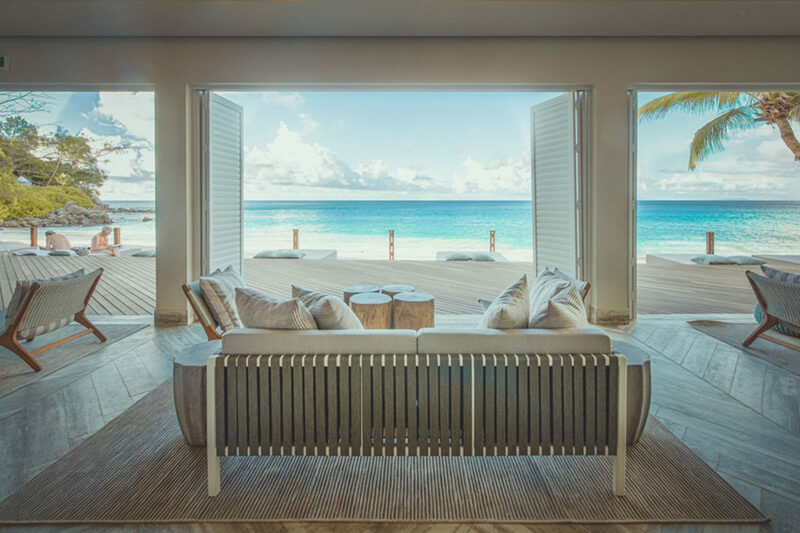 The 40 chalets are nestled in the side of the island, each with a private decking area overlooking the beach and stunning ocean beyond. The hub of the hotel is located by the pool, is directly behind the beach, and located next to the beach bar and main restaurant. Breakfasts and dinners are served in the Lorizon restaurant, whilst lunches and dinners can also be enjoyed around the pool where there is an extensive tapas and light bites menu. 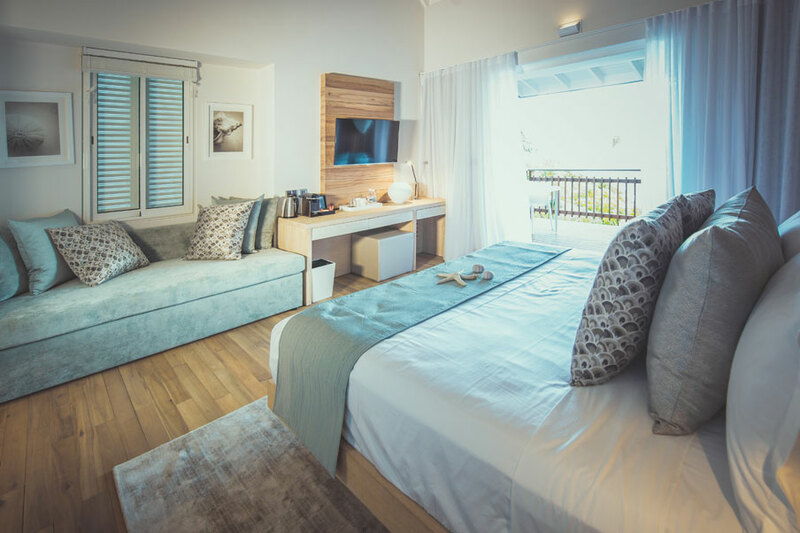 All 40 chalets are equipped with free WiFi; telephones; LED TVs; mini bar; tea and coffee facilities; spacious en-suite bathrooms and private open terrace with lounge bed. 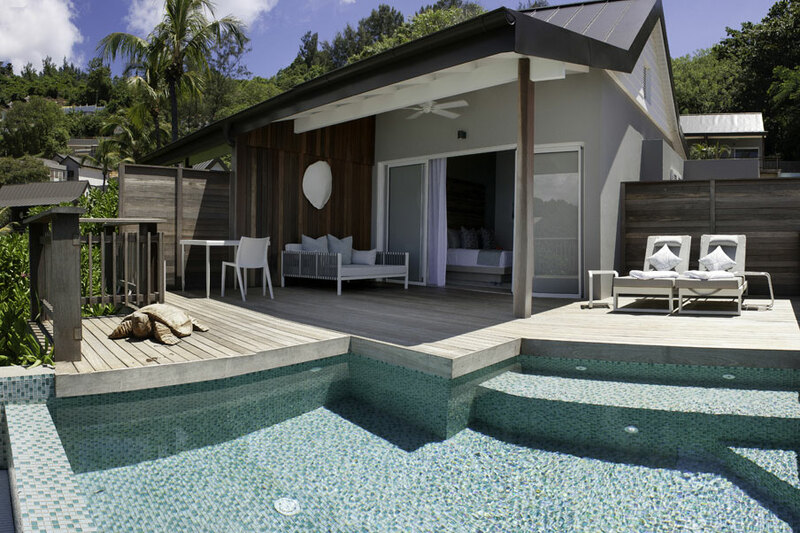 The 12 ocean view pool chalets are slightly larger, with a bath tub and plunge pool on the terrace. The hotel has a spa, pool, restaurant and beach bar. 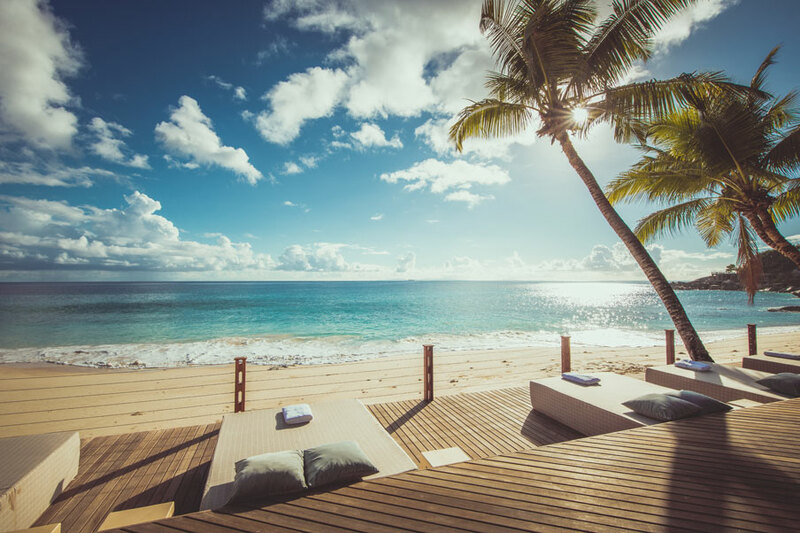 Indulge in a massage or treatment at the on-site spa, or choose one of the available romantic experiences such as private dinners on your balcony, picnics or horse riding on the beach.